try out our 10 effective tips related to online shopping giving you a full advantage on money-savings. A bigger set of people are loving to shop online, than hitting the stores as it’s quick, convenient and pours benefits right at one click from their apps, and the exciting gifts reach at their doorsteps within two to four days. But they might miss out the chances on major savings like discount offers, digital coupons, price-drop refunds, etc. Nowadays online retailers have become highly creative to grab more shoppers from their portals. If you want to be an intelligent shopper who knows how to crack the deals in lesser money without much effort, try out our 10 effective tips related to online shopping giving you a full advantage on money-savings. 1# Look for Coupons: It might seem tough to look for products with coupon codes. 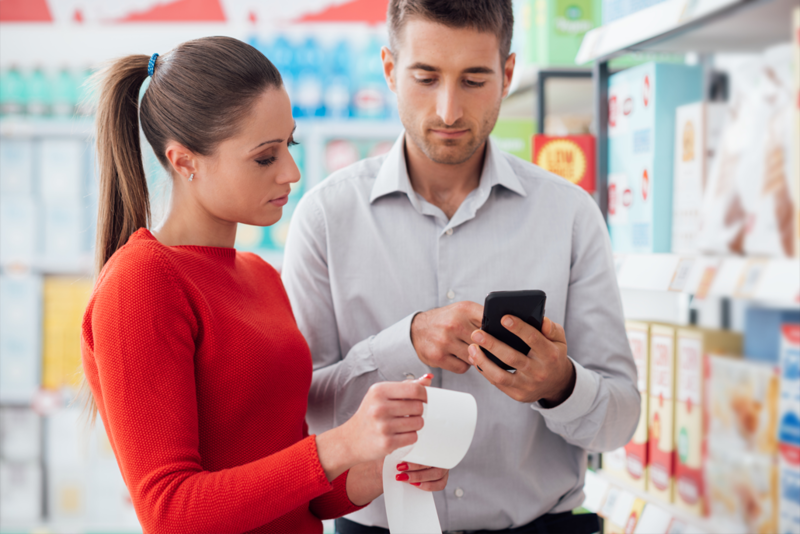 Because of shopping quickly, you might skip on coupon codes or you might receive late SMS on coupon codes on your selective products. Well, take your own time in searching for coupons. Retailers have approached with many products selling websites that collects thousands of coupon codes, and the best one you can always look upon is Couponobox.com that offers you with huge coupon offers right at one look on their products. 2# Select the Right Day: Throughout the week, prices for the online products keep varying which signifies certain days are superb to buy specific products than other days. Wednesday is mostly the best day to shop as prices for most of the products are pretty much low. Thursday is supposed to be a killer day for exciting deals at retailers’ point like American Eagle, and Macy’s with approximately 40% off on your orders. 3# Apply Price-Comparison Technology: Though you might consider executing online shopping on a small amount, you should still use an add-on browser like PriceBlink. Such apps will be scanning the web automatically while you continue shopping as you’re offered with comparison pricing on any kind of items you are looking at. The apps remain hidden when not shopping. 4# Sign-up for the Newsletters: Many shoppers evade messing up their inboxes with retail newsletters’ emails in numbers. A simple solution can be that you can make a new email id only for the retail newsletters and check it out whenever you plan to buy from those retails. Also email apps such as Unroll.me can help you in restructuring all your subscriptions in one digest daily. Many companies tend to send quick discounts up to 30 to 40% off, the moment you sign up. 5# Chat with the Customer Service Person: Customer service is always available at your service 24/7, anytime and asking them about the coupon codes and special discounts can really be special. You have to be the curious customer and ask all your doubts and the customer service person is there to solve your queries with happy shopping at reduced prices. 6# Response with a ‘Like’ for your Top Retailers: There are those big, well-known companies like Target, Banana Republic, who post exclusive discounts frequently on their Facebook Pages. If you love the brands, ensure to “like” their page on FB and follow them with their daily and weekly offer special, which will aid you in shopping. 7# Do Not Check Out Immediately: Never try to rush into buying any products online because a slight patience can take you for a better shopping at easy rates. Select your products, add them to your cart and exit out. In the due course, you can track those items to have an eye if they are available for sale. When you’re a registered user and remain logged into that website, you might acquire a coupon that tempts you to purchase it. 8# Search for Price-Drop Refunds: You might have met with a circumstance where you have purchased a product and the very next day its price dropped down. That might be surprising to you making you feel bad about why you didn’t wait until tomorrow. When you contact your merchants within few days of shopping, they can issue a price-drop refund. 9# Avoid Dynamic Prices: The secret behind online retail is that you clear off your browser history, log out from your email account and other social media accounts, and switch over to ‘incognito’ mode on your browser. Then start shopping from your favorite ecommerce portal to get products at reasonable prices. 10# Make use of Coupons strategically: Strategize in using coupons as few companies pile you with several coupons for one purchase. In order to save your money, ensure to use percent-off (20%-off) coupons before utilizing dollars-off ($10-off) coupons. Hence, get the best deal on online shopping using Couponobox.com on great stuff. Hope you guys have understood the tricky ways of shopping online and saving your pocket! Do share your comments with us about your shopping experience online! Ryan Holman Working as blogger since last five years! Ryan would like to share different types of stories with his reads which help them gain their knowledge.